Decked out in their best swag, students will gather, like they do every year, at Skate Galaxy on Northwest 36th St. Roller Rag, the Spring version of back to school bash, is a time for students to let loose and release some pent up energy from the long winter break. Senior Jessica Harper said, “It’s just a great way to have fun coming back from break.” Students spend the night skating, falling, laughing and dining on arcade food. This year’s theme is Roller Swag. Some students are unsure about a “swag” theme. “I feel kind of skeptical of the theme. Maybe it was just my high school experience, but I don’t associate ‘swag’ with anything good,” said freshman Hannah Bean. “This year’s theme is creative, but compared to the past few years, I think it’s going to be a little hard to dress up for,” added Harper. “It sounds like a blast, and I look forward to spending time with my friends,” said Bean. 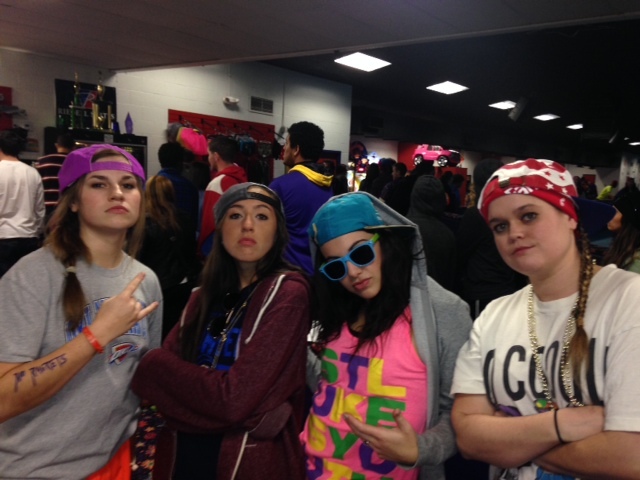 Roller Swag is Friday, January 16, beginning at 10 pm and ends at midnight.